The South West of England has provided quality building stone for many of Britain's finest buildings over many centuries, and continues to do so. Locally the stone contributes to the distinctive character of many of the region抯 prettiest villages. Where is the stone found and how is it quarried? Famous names are here, such as Bath, Delabole, Ham Hill, Portland or Purbeck, and top quality stone, obtained in large blocks for building, monuments or engineering work, is quarried as 慸imension stone� or 慺reestone� sandstones, limestones, granite and slate. This traditional industry has seen dramatic changes in methods of extraction, processing, transport and uses over the past 120 years. We follow in the footsteps of the Victorian geologist George Harris, visiting the same quarries he saw and described (with diversions on the way) in Cornwall, Dorset, Somerset, Wiltshire and the Forest of Dean, comparing how they work today in a highly mechanised world. 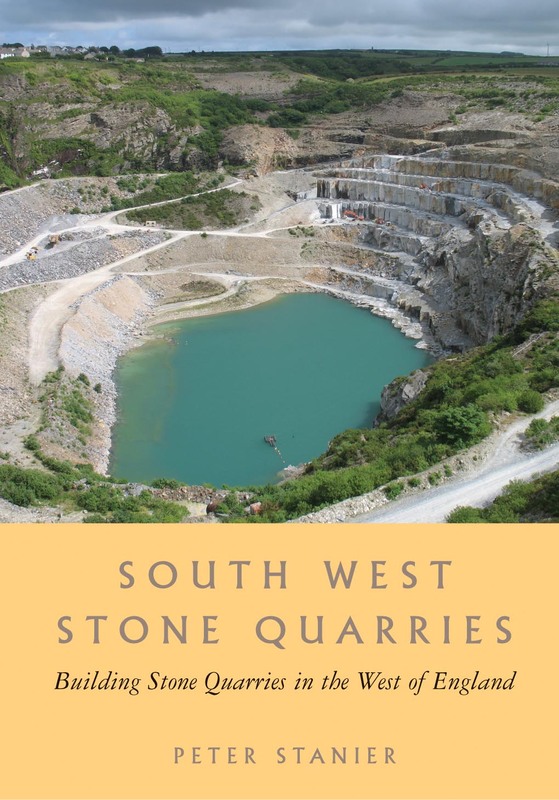 Peter Stanier is the author of Quarries of England & Wales and South West Granite, amongst many others. A worthwhile addition to the library - well produced and good value. Anyone with an interest in geology, quarrying, architecture or landscape will find this book of immense interest. It is a most readable treatment of a key West Country industry and will remain a standard text.